After losing to the St. Louis Cardinals in the NLCS for the second year in a row, the Dodgers front office knew that some changes had to be made. The men upstairs let the oft-injured Hanley Ramirez walk at the end of his contract and he was subsequently signed by the Red Sox. They were then reportedly interested in pitcher Jon Lester to add to their rotation, but so were three other teams. Into Winter Meetings we went! If you woke up today and envisioned Rollins and Kendrick turning 2 for #dodgers on a McCarthy groundball, you win the prize. Yep. Let’s take a look at all of the Dodgers’ moves. After playing all fifteen years of his career in Philadelphia, Rollins was dealt by the Phillies for players that have yet to be disclosed, though it is expected that they will be prospects. This trade confirms that the Phillies are finally committing to rebuilding. Yep. You nailed it. It was Hanley Ramirez. Incredibly, Rollins is 36 and still an effective infielder, and he was traded away from the dismal Phillies just in time for the home stretch of his career. While he may not provide as much offense as Ramirez, he slides in (pun intended) as a major defensive upgrade at the position, something which was desperately needed by this Dodgers team. The Dodgers are legitimate contenders. The Phillies, to say the least, are not. Hopefully for Rollins, this upgrade will help him to put a happy ending onto this last segment of his fantastic time in the majors. Everybody loves a happy ending, right? 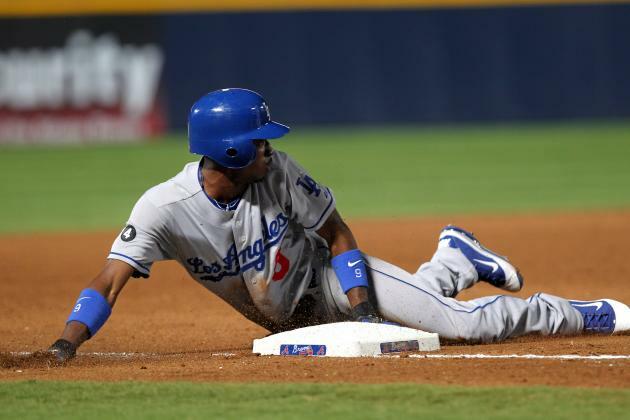 Rollins will most likely fill the shortstop gap until prospect Corey Seager is ready. The next thing we saw from the Dodgers was the trading of speedster second baseman Dee Gordon, pitcher Dan Haren, and infielder Miguel Rojas to Miami for pitcher Andrew Heaney and three other prospects. Gordon had a nice breakout season for the Dodgers. He batted .289/.326/.378 with an OPS of .704 and stole a league-high 64 bases. The young speed demon will now add to a core group of young talent in Miami after a brilliant sell-high by the Dodgers. Not only that, but Dan Haren has said before that if he was traded from California, he would perhaps rather retire rather than leave his family. Heaney was selected 9th overall in the 2012 draft and is heralded as one of the best young pitching prospects, so snatching him and three others for Dee Gordon and potentially no Dan Haren is a pretty good two for one type deal for L.A. The Dodgers will give the Marlins $10 million to help pay Haren’s contract if he plays, and if he doesn’t, then Miami gets to just keep the money. Still, though, it’s tough to see what the Marlins were thinking. Before Heaney had the chance to say hello to Los Angeles, it said goodbye and flipped him down to Anaheim for second baseman Howie Kendrick in quite possibly the biggest win-now move that could be made. Heaney would have stayed in the rotation for six years, and Kendrick has just one year left on his contract. The Dodgers have been eyeing Kendrick for quite some time, and now he will fill the gap left by the Dee Gordon trade. The Angels will get some much needed help with their pitching rotation, and there’s a chance that he will see some early action with Garret Richards not expected to return from injury for the start of the season. Kemp finished second in NL MVP voting in 2011 after leading the National League in a number of offensive categories. He was rewarded with a ginormous contract and was looking to be a fixture in the organization for years to come. Then came the injuries and the drama, bringing a certain messiness to his career regardless of how funny that one commercial for MLB 13 the Show was. He sputtered out of the gate in 2014, but finally found his bat again after the All-Star break, so he should be good to go for next season! Next on the fire sale, Matt Kemp! 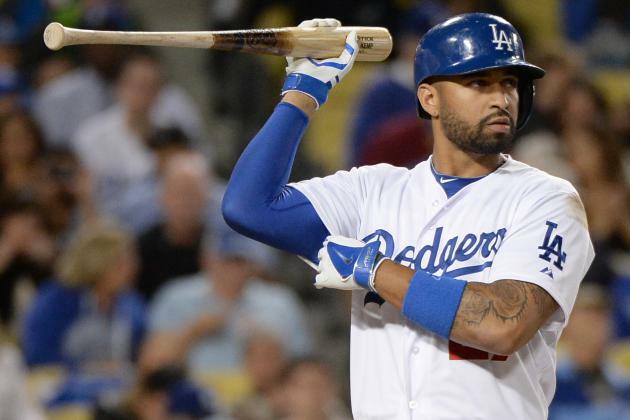 Kemp was sent to divisional opponent San Diego along with around $32 million to help cover his salary in exchange for catcher Yasmani Grandal and two prospects in another sell-high deal. My favorite parts about this are that the Dodgers have to play the Padres 19 times a year and that, for Kemp, it will feel a lot like he’s at home for all of them. He’ll add a much needed bat to the Padres offense that finished last in run scores in 2014. He’ll also help the Friars because since he’s coming straight from the powerhouse Dodgers, he knows the enemy. But wait, there’s more! Los Angeles made a high risk play to sign pitcher Brandon McCarthy. McCarthy has been mired by injuries throughout his career, but that didn’t stop the team from locking him up for four years and $48 million. Where the Dodgers really need help is in the playoffs, so this is a somewhat questionable move for them. Regardless, he’ll add to a rotation that already has Clayton Kershaw, Zach Greinke, and Hyun-Jin Ryu. McCarthy is coming off of a season in which he played more games and pitched more innings than any other in his career. Will he be able to keep that up and actually help this team with its postseason woes? That remains to be seen. These deals won’t exactly make the Dodgers better per say, but they will make them much more well-rounded and consistent. Swapping Jimmy Rollins and Howie Kendrick in for Hanley Ramirez and Dee Gordon will do wonders for the team’s defensive efforts. Sure, they lose Matt Kemp’s bat in the order, but they have a wealth of outfielders just waiting on the bench for a chance to play. The Dodgers will likely struggle until Clayton Kershaw can get himself together in the postseason. His career regular season ERA is 2.48, and his career postseason ERA is more than double that at 5.12. He is 0-3 with an ERA of 7.12 in his career NLCS appearances. Luckily, the exporting of Matt Kemp and his terrible defensive play should help Kershaw a bit. We’d be silly to think that the Dodgers are done making moves. I wouldn’t be surprised to hear the team’s name a few more times before today is over. Remember how I said that the players on the other side of the Jimmy Rollins trade have yet to be named? 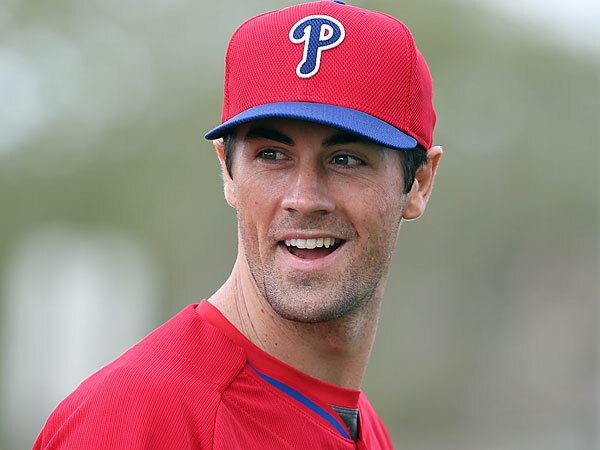 Here’s a fun thought: What if all of this player movement is being done to clear up payroll space and gather more bargaining chips so that the Dodgers can be in position to add Cole Hamels to the trade and make it a real barn buster? This entry was posted in General, MLB and tagged ABBA, baseball, Brandon McCarthy, Dee Gordon, Dolly Parton, Green Day, Hot Stove, Howie Kendrick, Jimmy Rollins, Los Angeles Dodgers, Matt Kemp, MLB, Tears for Fears, The Beatles, Winter Meetings. Bookmark the permalink.